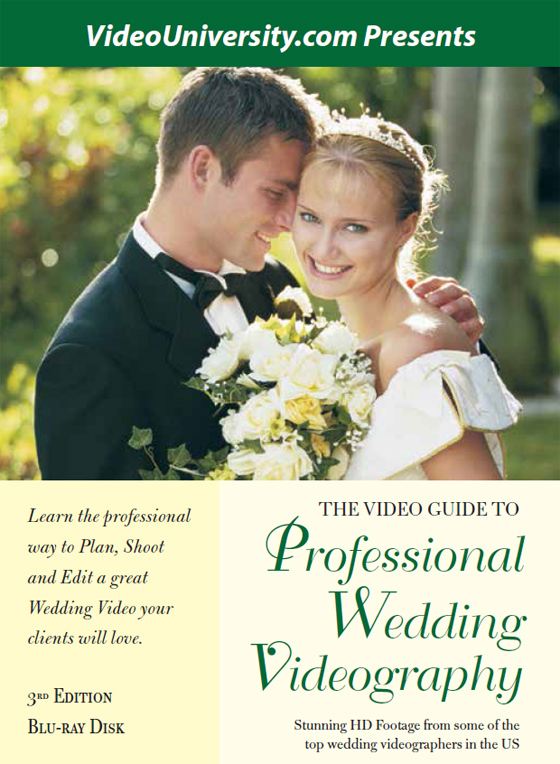 In my wedding video business, my primary cameras have been the Canon 5D Mark III and the Canon 6D. I have used the Canon 60D just for close up shots during wedding ceremonies. I also use a Panasonic HMC-150 as my full time wide shot. Because they are full frame, the Mark III and the 6D don’t get close enough to the altar in long churches even with the 70-200 and frankly neither does the 60D. The 60D at 2500 ISO is disappointing in image quality and noise. The new Canon EOS 70D Digital SLR Camerais great for close ups because with the 3X crop built-in, my 70-200 becomes an incredible 210-600mm 2.8 IS. The sensor crop gives an additional 1.6. It’s not the same as a zoom, but it functions in a similar way. The fantastic touch screen interface makes the menu easy to manage. I can push the 70D’s ISO to 4000 and record clean video (see the clip below). For me that means that this is now useful for Glidecam at receptions, and overhead shots with the flip out LCD. These shots are tough to do with the Mark III because you have to guess at your framing since you can’t see the LCD. With this DSLR I may be looking at the end of video cameras. If I set the 70D on a medium shot of the altar where the groom will be, and hit record, I have almost 30 minutes of record time, 29:59 to be exact. In 90% of the cases, that is long enough for the processional. So now I can eliminate my HMC-150 and have four matching shots from Canon DSLRs. From a usability standpoint, the 70D is almost exactly like the 60D. Same basic size and feel. The 70D does have a dedicated switch for video/photo so when switching modes you don’t have to reset your settings between photo and video. There a few other basic changes like having the menu button on the left, but Canon does this type of thing every time they update a camera. The biggest change in usability from the 60D to the 70D is the remarkable touch screen. I honestly forgot about the touch screen until the reception when I was trying it out with the digital zoom. Rather than fiddling with the Q button and the clumsy joystick pad thing, you just touch the Q on the screen and touch whichever function you want. It was amazing. Not to mention the touch focus, which brings me to the most surprising thing. The Canon 70D really and truly has FULL TIME FUNCTIONING AUTOFOCUS! I’ve been manually focusing for 3 years with the 5D. When autofocus was first announced, I thought it was nice, but that I wouldn’t use it because it probably wouldn’t work. Honestly, this is the best auto focus I have ever used. Through all the Sony, Panasonic, and Canon video cameras I’ve owned, I have never used a more fluid and accurate auto focus. People have been asking me how it compares to the Canon 5D Mark III. The Mark III is still the low light king and I will not be giving it up anytime soon. The Mark III’s ability to monitor and control audio makes the Mark III better suited to doing interviews or anytime you need usable ambient audio. Keeping in mind that full frame is not better than crop or vice versa, I think it’s good to have both in your bag so that you have the tools you need to get the best shot. I can’t comment on moiré and aliasing other than to say it probably still has the same issues as the 60D. The 5D does not have those issues. Would I buy four 70Ds as my whole arsenal? Probably not, but I would be comfortable shooting all day with just the Canon 70D. Thanks for the great review. I have the 60D now and I am really liking that new autofocus for video on the 70D. It will solve the one main issue I was having. I use a 5D3 as part of my kit, but I’d never toss a pro video camera (even a crappy hmc150) for ONLY dslr’s. Even if I did, I’d never advocate it. Is shallow DOF really that important to you? Honestly, if it wasn’t for that singular feature, would you even consider DSLR’s, let alone DSLR’s to the exclusion of real video cams? The audio recording deck and inputs on a Canon XF100 (for example) are reason enough to have that camera as your A unit. External recording (say, to a Zoom H4n) doesn’t cut it. Too risky, it’s a monitoring nightmare, and an unnecessary hassle for your post workflow. Great review of the 70D (which does have horrendous aliasing and moire, by the way), but I would advise against excluding a camcorder from your kit. Great article Bill! Since going with a couple MK3s and 6D we have a couple of 60Ds that don’t use anymore. I was going to sell them and now I know what to replace them with, and yes, I’m one of those who did “toss” the idea of using a video camera along with DSLRs for weddings. The auto focus isn’t something that I think I would use but the other three benefits sound really good. On the 60Ds I would limit ISO to 1250 for weddings. You know what the noise looks like on the 60D at 1250. Is that what the noise looks like on the 70D at 4000 ISO? If not, what ISO on the 70D looks like the noise on a 60D at 1250 ISO? Well, it’s ok to have that opinion. I’m just sharing mine. 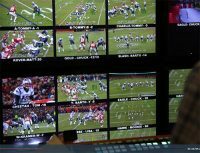 I would love to get rid of video cameras all together. I shoot everything with DSLRs, but not for the Shallow DOF, in fact most of the time, I don’t have very shallow DOF. I know about the aliasing and moire and it just hasn’t ever been an issue for me even when it was there. We all have to decide our tolerances and opinions on things and I’m glad you shared yours. I would agree that the ISO on the 70D at 4000 is about equivalent to 1250 on the 60D. I could push the 60D to 2500 if I needed to but tried to keep it pretty low. I felt comfortable with the 70D up to 4000 and could push it to 6400 if needed. That give you , i think like an an extra stop and a quarter… or something like that. 🙂 Not very scientific I know. Great article! Hey just curious did i understand you correctly that you are able to record continuously for 30 min straight with the 70d? Im just starting out with dslrs and i have hmc 150s the video quality is just so much better with dslrs in my opinion. Great review! I am wedding photographer http://www.cristitimofte.ro my partner will shoot weddings this year with Canon 70D, autofocus better than the Sony AX2000, need I say something? the 70D’s continuous auto focus is excellent. this combined with the flip screen is perfect for low and high angle shots. I just hope canon puts these two features into their future full frame models. the flip screen really should be in all canon cameras, not just the video oriented models, because even photographers can take advantage of them. Thank you for this unique review. I couldn’t anything more usefull in order to solve this debate that haunts me for months now: 5dIII or 70d? I love the 5d and it is a really great tool, but I had the ocasion to use both on weddings. I have to confess that all those moving scenes are a nightmare without focus tracking, and from this point of view I find the 70D really usefull. On the other debate I think that the camcorders are going to be replaced by DSLR in the field of creative filmmaking because of all the spec’s but above all for the cinematic look. It is a great challenge to deal with focus, audio and even the big files, but the camcorder look is not surprising anymore. Good luck! Hi ! Thanks for your review ! How is the auto-focus during the recording ? especially when your focoused subject is moving and getting nearer or further from the cam ? can the cam adjust the focus in such a situation smoothly ? Great review. The bit about being able to use the 70d on the glidecam at 4000 if need be was most important for me. I’ve been using the mk3 on a merlin for all flying shots because I just couldn’t stand having to rebalance when going from daytime, bright and shiny shots to evening, lowlight, screw-the-videographer time. lol Perhaps now I can balance the lighter 70d on the merlin instead. Thanks for the review. After 1 year using 70D I am really impressed. The autofocus can follow any moving object that you select wherever it goes. With an STM lense there is focus sound or problems as well as with most L-series lenses. The touch screen is amazing. ISO performance is amazing. The next camera fom there has to be a Canon 7D2 with more focus points (65 compared to 19) or the Canon 5Ds. 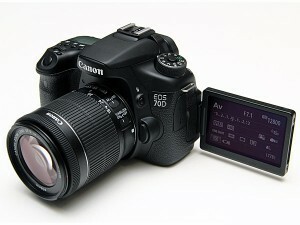 I would recommend buying 70D. Nice review. I recently sold my 7D off and bought the 70D specially for its autofocus. I tested it for recording video continuously and though the body heats up it hasn’t shown any overheating issues. However, the climate isn’t too hot here right now (around 29 – 30 degrees). Also I only tested it indoors. I was wondering if you ever had issues with overheating and the camera shutting down because of that? Nice review and I love the 70D! Does anyone experience the 70D shut off after a longer recording period? maybe 20+ minutes? Is that a overheat issue? Any solution? I’m already using a fast SDXC card. Saw this post after I posted. Yes, it does get heat up and shut off :'(. I record in AC room for 20+min before this happened… more than once. Asked Canon Support. They asked me the same thing… if I record in harsh weather conditions, if the SD card is fast enough, and if the screen showed an overheat icon before it shut off, which happened too fast at the time, and the cam already shut itself off before I even notice that. eventually Canon did not provide a solution. Seems that this is a known issue to them.